At last year’s TecHome Builder Summit, Shea Homes leaders recognized the opportunity presented by Deako, and now they are offering its products as standard in a new community with the potential for even more. For builders looking to entice buyers with smart home options, there is some financial risk by including high-priced tech products they ultimately may not want. 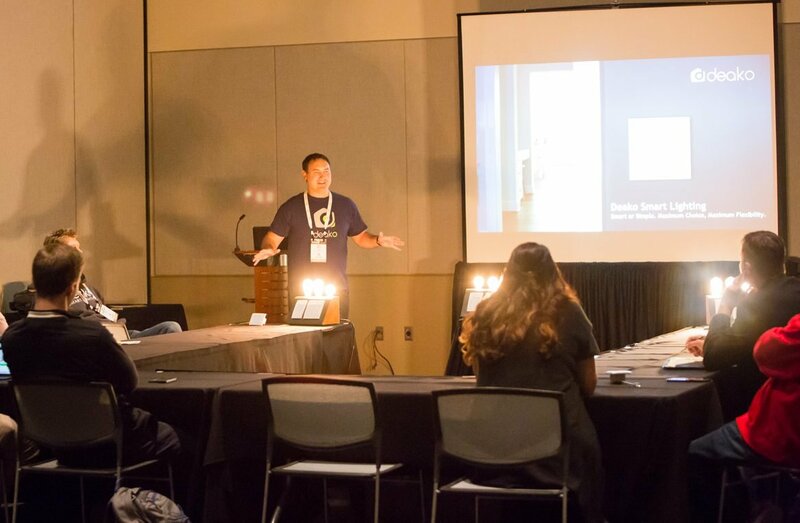 At the 2017 TecHome Builder Summit, Deako showed builders a cost-effective smart home option that could impress their customers, present upgrade opportunities and allow for future-proofing. High-volume builder Shea Homes jumped at the opportunity. 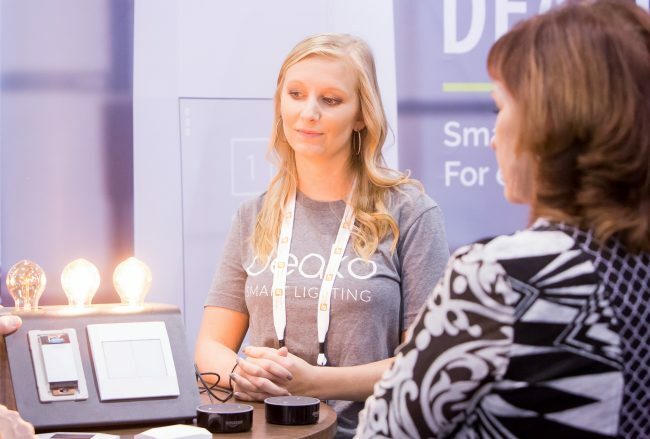 Deako’s products help to simplify the process of creating a smart lighting system within a home. With homes that can have dozens of light switches throughout, creating whole-home smart lighting can cost thousands. 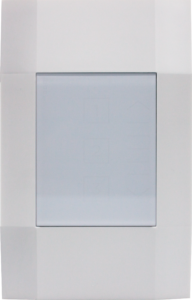 Deako’s switches can be selectively and easily installed at a fraction of the price, creating flexibility for both the builder and homeowner. Wes Nicol delivers a boardroom presentation at the 2017 TecHome Builder Summit. While explaining these benefits during a boardroom presentation, a member of the Shea Homes team took notice and began asking several questions. A bit later, several representatives of the company visited the Deako booth to get more information and learn about the system. Following the event, Deako CEO Derek Richardson visited Arizona to meet with Shea executives. After a few more follow-up meetings and some back and forth, the two companies created a fully integrated partnership with Deako’s Simple Switches being included in all residences at Origin at Gateway Quarter in Queen Creek, Ariz.
To this point, the switches have been installed in two model homes with a full launch this month. Deako’s Simple Switch will be installed in every home in Shea Homes’ Origin at Gateway Quarter in Queen Creek, Ariz. The Shea Homes relationship is the first of what Deako hopes will be many that will have come from the TecHome Builder Summit. Nicol says he still has a great list of leads and connections from the more than 50 builders with whom he and his team met. For a young company, getting exposure to those key decision-makers is what will allow his company to grow.